The hotel’s spacious, warmly decorated rooms are ideal for families traveling together. 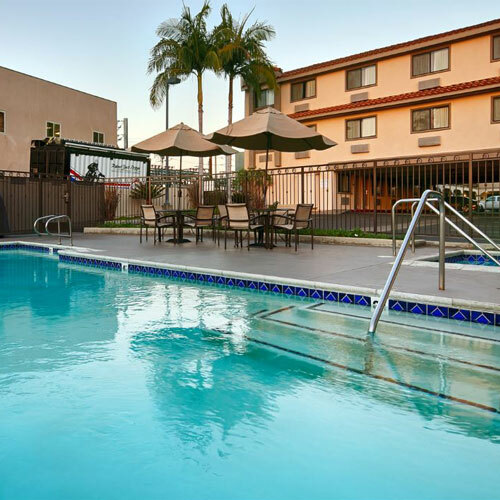 The property is near the Los Alamitos Race Course, the only horse racing track in Orange County. 48 units. 3 stories, interior/exterior corridors. I-605 exit 1D (Katella Ave) southbound; exit 1B (Katella Ave/Willow St) northbound, 0.5 mi e, then 0.4 mi n. 10591 Los Alamitos Blvd 90720.